It’s that time of year again when the Father’s Day items start to adorn the shelves. And it’s also the time of year when us moms and children struggle to know what to buy for our fathers or spouses, I know I do anyway! When I was contracted by JORD Watches I was so intrigued, not only are their watches gorgeous but are hand crafted so each piece is unique. Just like Dad! They are definitely a statement piece as these watches are completely different from each other in the sense that not one piece of wood is the same. They have a variety of texture, colours and grain making each watch unique. 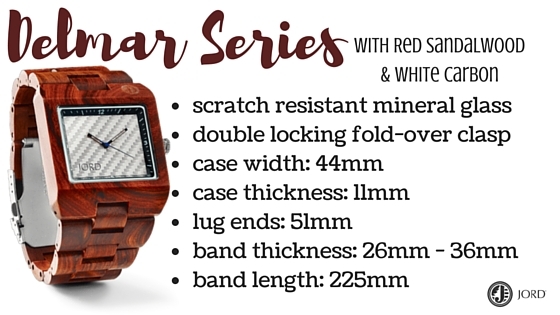 After much debate, we picked the Delmar Series style JORD wood watch in Red Sandalwood with White Carbon. There are many options to choose from but we both loved the rich warm tones of the Sandalwood. The watch came packaged in a matching wooden box which is perfect to store the watch and it was presented wrapped around a cute little pillow, and it comes with instructions, a cleaning cloth and a limited warranty card. Before we ordered his watch, we measured his wrist using the provided ruler template on their website to make sure a perfect fit. If you run into any trouble they have a live “watch specialist” able to assist If you have any questions about the product, shipping, or anything else. So if your like me, you can shop wearing your bunny slippers and no one is the wiser! This watch is extremely comfortable and super light compared to traditional watches. It has already become one of his favourite pieces perfect for both office and for the work site. This gorgeous watch catches everyone eye and he has received a lot of complements already. This Father’s Day , I’ve partnered with JORD Wood Watches to giveaway a e-voucher worth $75 that you can use towards purchasing your own JORD watch and, everyone who enters *(excluding the winner) will get a $20.00 e-gift card to apply towards the purchase of any watch on their website! If you’ve had your eye on one of these Luxury Wooden Watch you are going to want to get in on this giveaway! Just click the link below – it will ask you for your email address. Once you hit enter, your code will be emailed directly to you. Click here to enter! If you are looking for a unique gift for someone you cherish (or need to drop a hint to your wife), then definitely check out JORD watches. As you can see, they are absolutely gorgeous and uniquely beautiful. There’s a style for everyone and their watches start at $120 USD and the best part they ship worldwide! I suspect anyone you bless with gift of one of these beauties from their men’s shop and will be grateful to know you. With so many choices it’s hard to chose which JORD watch to purchase first… Which watch is your favourite? How are you planning on spoiling your Dad this Father’s Day? I would love to hear about it in the comments below. The winning e-voucher will be expire after 1 month after the ending date. The ending date for this contest is 6/12 so enter today! I have not heard of this watch, my hubby loves watches, this is a real statement piece. I will look into it for his collection. I have always wanted a Jord watch myself and I think they would make a perfect gift for fathers and mothers alike. They are timeless. This watch is so pretty! I wish my husband wore watches like he used to because I would definitely get him one of these. My husband doesn’t like watches, but I know that my dad or brothers would probably love these watches. They’re so unique! I gifted hubby with a Jord watch a couple of years ago and he really loved it. It’s a very unique watch. That is such a great watch!! I think it’s an amazing choice for a Father’s Day gift! I got my husband a JORD watch for Father’s Day last year and he loved it so much. He wears it every day still. Such beautiful watches they have. These watches look so nice. my husband is using a smart watch. I was kinda surprised that he wanted it. I do love the look of the wood watch though. Those are very nice looking watches. Unfortunately, because of the field my guy works in, he can’t wear a watch during the week and has just become accustom to checking time on his phone. That is such a bold statement watch. I think it’s a fantastic choice for a Father’s Day gift! Wow how beautiful. I have never seen a wooden watch. This is a beautiful gift for men who wear watches. I have always thought those Jord watches were gorgeous!! And I agree that they would make the perfect Father’s Day gift!! I love Jord watches. They’re all so beautiful. I like the one that you have here. I got one for my husband once too, and he loves it. What a beautiful watch! Hubby would love something like this! That’s such a beautiful watch! It would look really good on my husband! 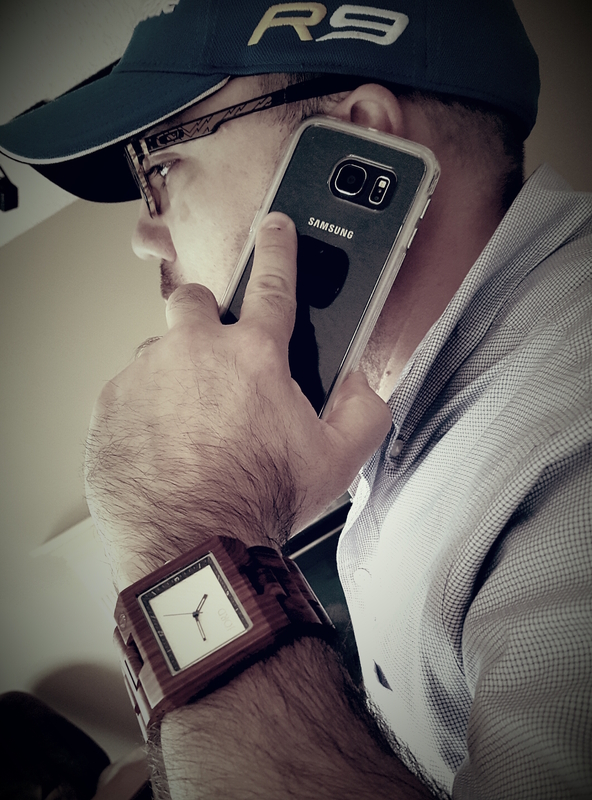 The Jord watches are indeed amazing Father’s day gifts for any father. I would love to get one of these for my day and one of these watches for myself too. Thanks for sharing this idea. I love the flawless look of the wood. The Jord watches are a great gift option for anyone. When it comes to gift giving, I’m all about Jord and we love their watches too. They surely are unique. It’s a beauty. It’s unique too. I like it. these watches are so cool. I’d love one for myself and I know my other half would too!! I haven’t thought that wood watches can look so elegant. My hubby would love to have this as a gift. What a beautiful watch! I just love all these wooden watches I’ve been seeing lately. I love these wooden watches by Jord. They would definitely make a great Father’s Day gift! I love a wooden watch. I would love to give one as well as wear one, too. We have one of these watches and love it. My husband wears it every time we need to dress up and go somewhere it’s one of his favorite items. This is a great Father’s Day gift idea. The watch is sleek and classy! My husband has a Jord watch and he always gets so may compliments on it. It’s definitely a great Father’s Day gift! My husband is a simple man and would always choose things that are practical. However, there are days when he gives out hints that he would love to have a new watch. 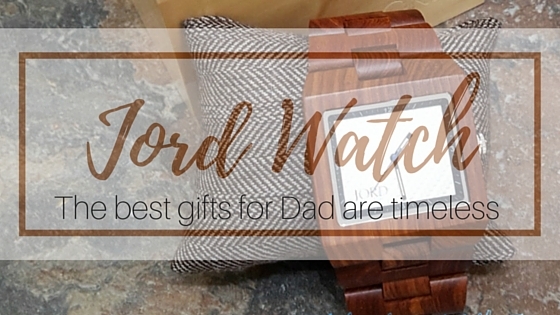 A Jord wood watch is the perfect gift for the best father my children could ever have. I love the smooth look of the watch. By using wood it gives the impression that it a relaxed look for a laid back guy who loves the outdoors while still having a unique look! These watches are awesome! I don’t know a guy who wouldn’t want one for father’s day. this is a really attractive time piece. my husband has been really into watches lately and I think would really enjoy this! Those wood bands just look so masculine! I love the look. I wish they made a fitness watch. i LOVE the way this looks on him! my hubs is a watch lover but I think I’ve over done it in that area so I’m going the creative route and will be making him some gifts from the kids. These are awesome! I love all how unique and timeless they are! What a great gift!! I know my husband loves having a good watch, what a great father’s day gift idea! I love the shape that you chose! JORD watches are very nice. I have a similar one that my son wears occasionally. This would make a great Father’s Day gift for someone. I need to get my husband a Jord watch. He’s been eyeballing one of those watches for months, now. I bet my dad would love a Jord Watch. They sure are unique and look pretty cool on as well as off. I just really love the look of them. My husband loves his, I would totally recommend picking up the coupon if you are thinking of getting one. They are totally worth the price but any little bit helps! I love Jord watches, they are beautiful. 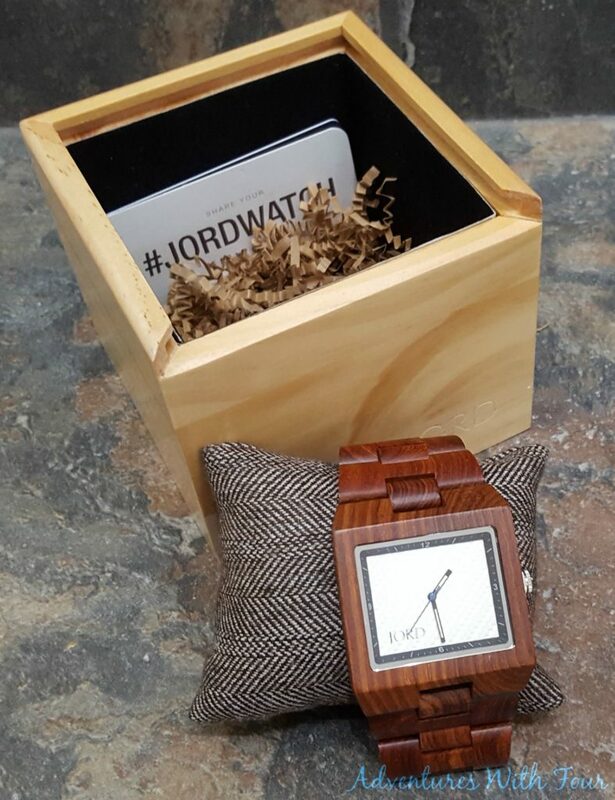 A Jord watch would make a great Father’s Day gift, they are unique. I’ve recently found out about Jord Watches and they are absolutely innovative. I love how stylish they are. 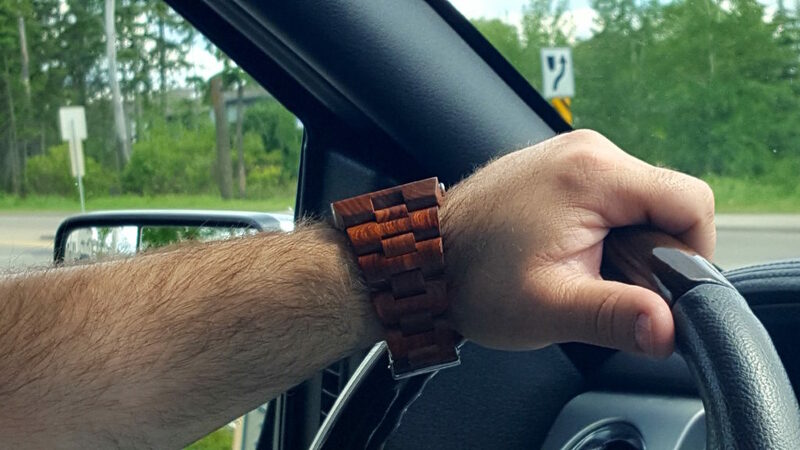 I am seriously in love with these wood watches! So unique. Do they have them for women also? Yes they do! They are so beautiful… I just can’t decide which one I want.